Good Monday morning to all! 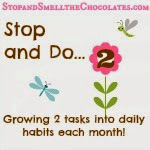 Since my family was sick all last week, I am so glad to start a new week! How about you? 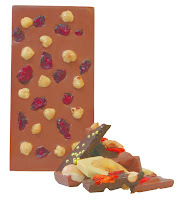 Would you like to know the winners of the Chocri customized chocolate bars? Too bad you couldn't all win, but you can watch the Chocri blog for the launch date so you can get your own chocolate bars then! Congrats ladies!! I'll be sending you the necessary info. And thank you again to Chocri and to Carmen! And now we should talk about holiday things on blogs. Let's not even say how many days are left until Christmas, 'cause for me it's NOT enough - LOL! But you should know about a few fun things to check out while those days are ticking away. 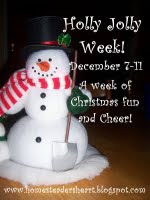 Today begins Holly Jolly Week at Homesteader's Heart! So much fun! She has Christmas crafts there today and there are giveaways too. Go check it out! 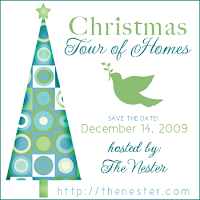 The Christmas Tour of Homes will be happening at the Nesting Place on December 14th! That means you (ahem - *I*) still have time to decorate and take pics to link up that day! 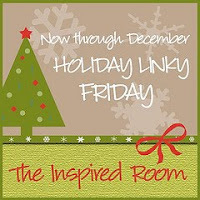 On Fridays in December at The Inspired Room, you can link up your holiday posts for Holiday Linky Fridays! I'm sure you'll find all sorts of good stuff! And there is a Christmas meme going around. You can find examples at Musings of a Housewife and Blessed Beyond Imagination. Feel free to join in the fun! I hope all of you enjoy your Monday and any Christmas plans that you're working on today! I see that the random generator wasn't on my side this time! LOL!! 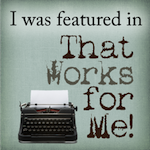 Thanks for the shout out about my Holly Jolly Week! Yay! What a nice thing to wake up to this morning. Congrats to Beth and quiverfil! 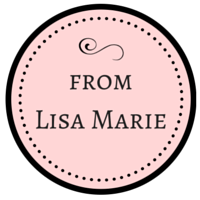 Hi Lisa, The candy looks amazing! ..very tasty! Congrats on your 500th post! Now that is something to be very proud of! Just stopping by to say hello! Did you get snow today? We had our first ever "snow day". Looks like tomorrow will be the same. Odd for us Californians who have no idea how to drive in the snow. ...little do my kids know, but they will be cleaning house tomorrow...muaaahaaaahaaahaa! Congrats to th winners and thanks for the links!